Provides renowned specimen quality, exceptional support materials, and superior packaging. 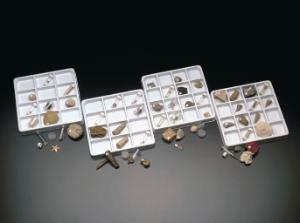 Examples from each of the geologic eras, including stromatoporoid, rugose, tabulate, and scleractinian corals. Set of 16.